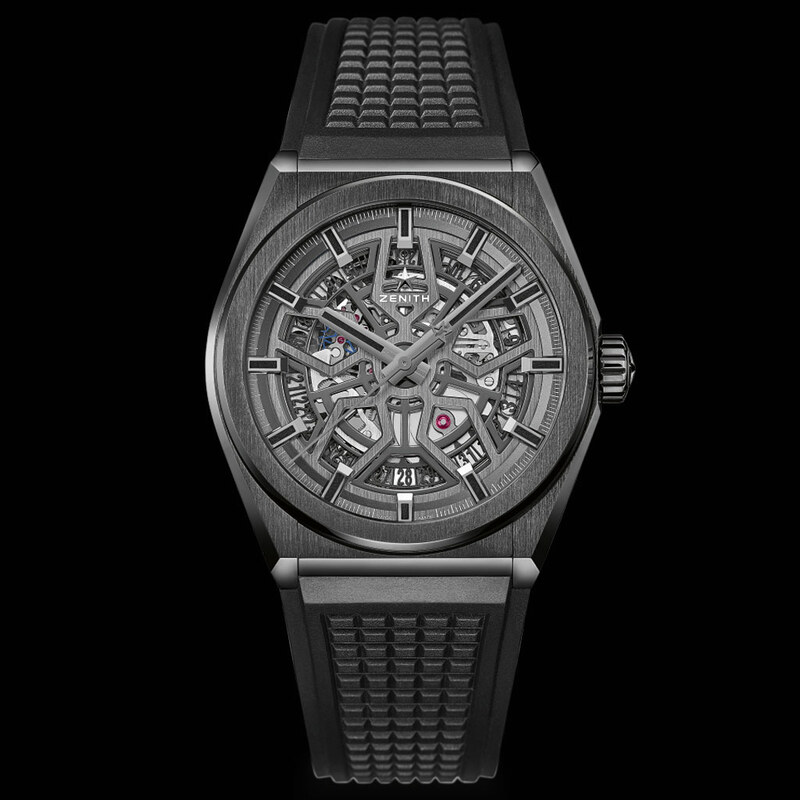 Presented by Zenith at Baselworld 2018 in a brushed titanium case with openworked or closed dial (you can read about it here), the Defy Classic is now available in ultra hard black ceramic. Forged from wear-proof black zirconium oxide ceramic, the 41 mm case of the Defy Classic Black Ceramic features a combination of polished and satin-brushed surfaces, emphasizing its geometric and contemporary design. 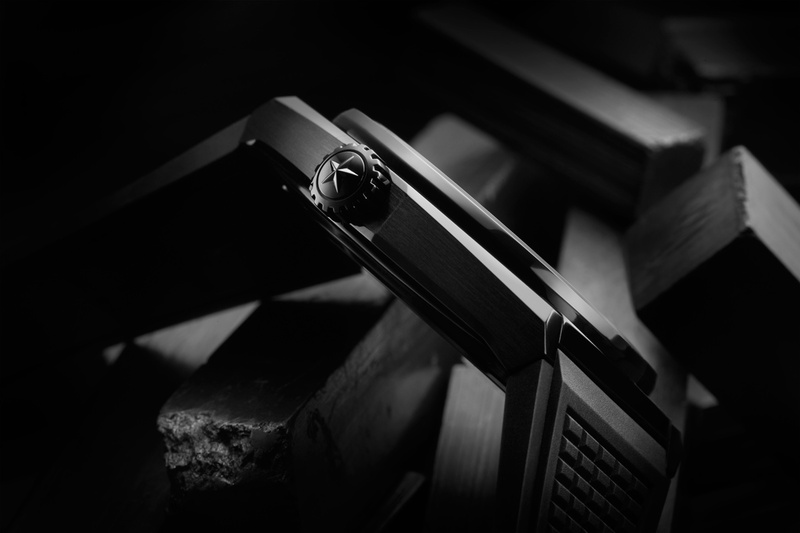 The edgy silhouette of the case is softened by the perfectly circular bezel that haloes above it. The multi-layered open dial is characterized by the stellar element which emphasises the blend between display and movement. The faceted hands and applied markers are treated with Super-LumiNova SLN C1 which emits a subtle green glow for enhanced legibility in the dark. Visible through the open dial as well as the sapphire case back of the Defy Classic, the automatic Elite 670 manufacture movement is fitted with a silicon pallet-lever and escape-wheel. Beating at a frequency of 4 Hz (28,800 vph), it guarantees an autonomy of more than 50 hours. 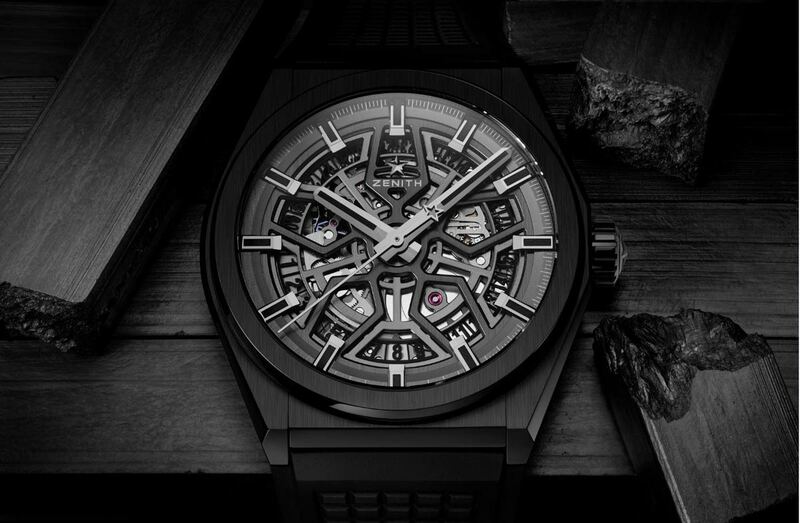 Zenith Defy Black Ceramic. 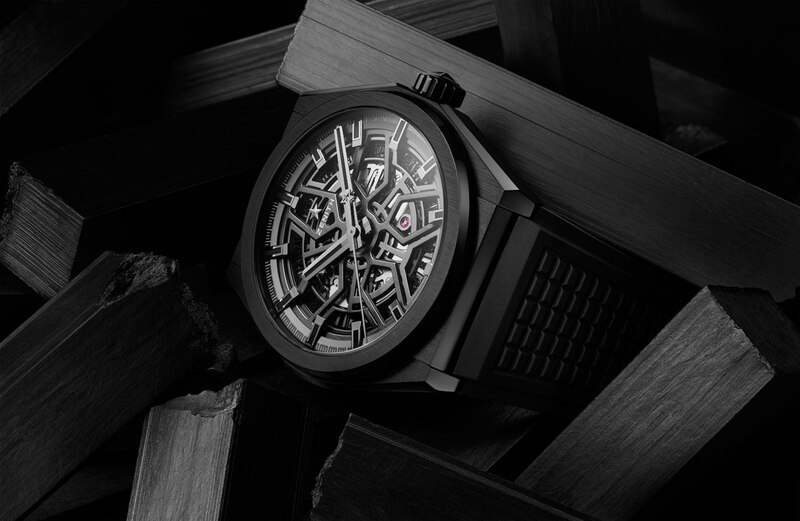 The Zenith Defy Classic is now available in ultra hard black ceramic. 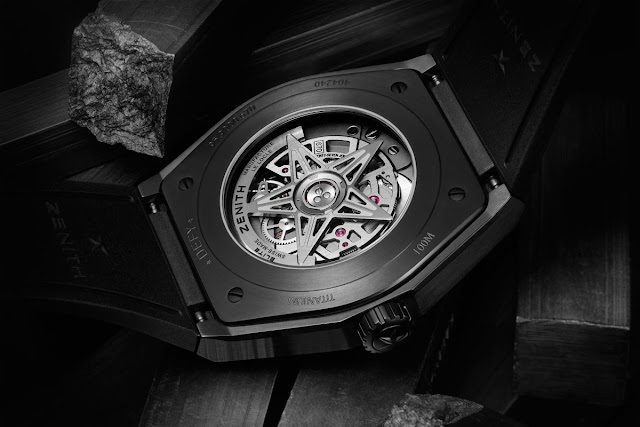 Matched to a sporty yet casually elegant black unistructure rubber strap, the Zenith Defy Classic Black Ceramic (ref. 49.9000.670/78.R782) is water resistant to 100 metres and has a price of CHF 7500.